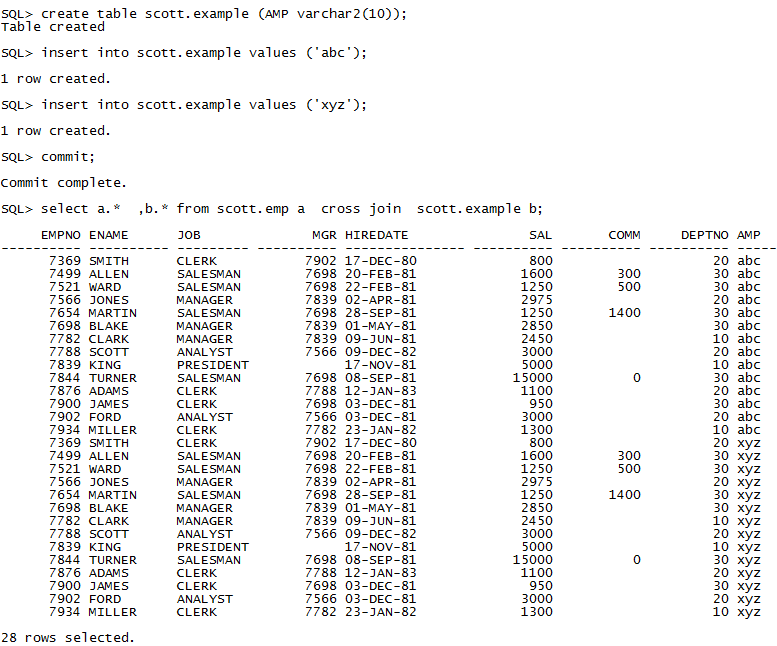 A CROSS JOIN in Oracle is a JOIN operation that produces the Cartesian product of two tables. 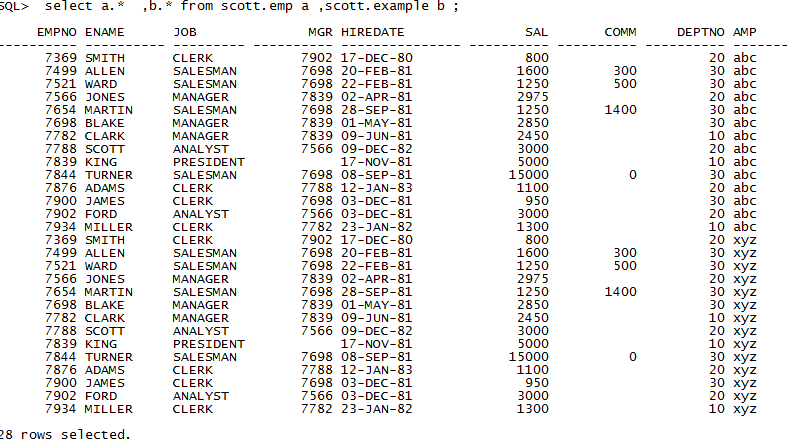 Here table emp has 14 rows and second table as 1 rows,so total 14 rows are returned. So now total 28 rows are selected. Cross Join does not let you specify a join clause. You may, however, specify a WHERE clause in the SELECT statement.